So, we are having DD3's birthday today even though her birthday isn't until tomorrow. Tomorrow night Mom is being honored at a banquet so I will be there. 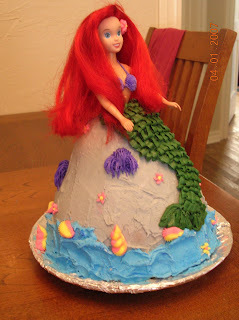 Anyway, we are having a hodge podge kind of birthday....mermaid cake and unicorn everything else. Here is a picture of the cake and I"ll put more after the party. hi.. its wonderful. 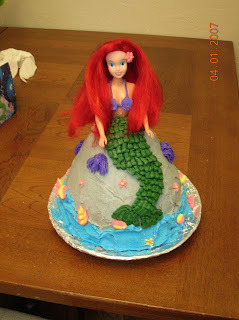 I also make cakes for some friends.I was just trying to get ideas for mermaid cake and i visited your site. I am inspired. wonderful work.